You are here: Home / Blog / New Years Pizza – Keeping it Simple! New Years Pizza – Keeping it Simple! 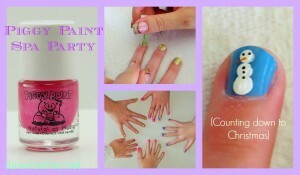 This is such a an easy and fun idea to put together for New Years. The Amazing Debra whipped this up last year last minute and the kids L.O.V.E.D. it. She definitely won Awesome Mom Points that night! The best part was that we were going to have pizza anyways, so she just shaped. it. Pizza Dough – Try our favorite easy pizza dough recipe or use store bought. You don’t have to do this with pizza, but can do it with anything that you are already serving. i.e. veggie trays, sandwiches, etc. Just remember not to stress over it because that will just ruin your fun! Make sure you share your New Years Fun Pics over on our Facebook page. We love to see our ideas in action!